On this blog, we have often stressed the importance of the movement of experimental philosophy between the 1660s and ca. 1800. What happened to this movement in the nineteenth century? Last week Juan noted that, after 1823, the entry “experimental philosophy” in the Encyclopedia Britannica was substantially shortened and then removed. This suggests that that notion may have disappeared from the British philosophical scene. Something similar had happened in Germany, where the tradition of experimental or, as it was mostly called, observational philosophy was eclipsed by Kantian and post-Kantian systems around 1800. The expression “observational philosophy” seems to have disappeared from the German philosophical vocabulary in the early nineteenth century. In this post, I will highlight an exception to this trend: Pierre-Claude-François Daunou’s Recherches sur les systèmes philosophiques applicables à l’historie. This is the text of the lectures on the history of philosophy that Daunou gave at the Collège de France in 1829-1830. It was published posthumously in 1849. In this work, as late as in the mid-nineteenth century, we find a wholehearted defense of experimental philosophy and its application to philosophical historiography. Daunou aims to outline a philosophical history of philosophy. What renders the history of philosophy philosophical? Daunou’s answer is: “history is philosophy, when it consists in a methodical series of facts that are carefully verified and presented as experimental instructions”. In fact, “only the experimental school provides the true method in the historical studies”. Like Degérando before him, Daunou draws on the historical facts to develop a natural history of philosophy: a classification of the various types of philosophical systems which we can use to establish which is the best. To this end, “the classifications must resemble those of naturalists, that is, they must only summarize the facts. Pretending that they are given and established a priori by the nature of things is a Platonic illusion, that has introduced many prejudices and errors into the sciences”. In 1829, Daunou could chose between plenty of alternative classifications: for instance, the old division of philosophers into sects to be found in Brucker’s manual, praised by Daunou; the empiricism/rationalism distinction used by the Kantians and by Degérando; and Cousin’s fourfold distinction between idealism, sensualism, scepticism and mysticism. Rejecting all of these classifications, Daunou follows Diderot, Condillac and Condorcet in relying on the good old division between experimental and speculative (or in his terms, contemplative) systems. On the one hand, we have the experimental approach of Aristotle, Bacon, Gassendi, Locke, and Condillac. On the other hand, we have the Platonic attempt to develop philosophical systems a priori. Kant, far from synthesizing these two trends as his disciples claimed, was responsible for perpetuating the Platonic, contemplative illusion. He “delayed the progress of science” and he induced French thinkers to accept the mistaken principle that “the abstract precedes the concrete, sheds light on it and dominates upon it”. Given Daunou’s assumptions, it is easy to guess what moral he draws from his history of philosophy: we must abandon the Platonic “picture of an idea or imaginary world” and acknowledge that “we owe all progress of physical and moral sciences” to experimental philosophers. What is surprising, or at least interesting, is that we find these claims in a text published as late as in 1849. Was Daunou a historian attardé, a living fossil in his own time, as Gregorio Piaia states in his very informative survey of Daunou’s work (to which this post owes much) in the Storia delle storie generali della filosofia? It is hard to deny that he was, at least to some extent. However, Daunou’s speculative-experimental distinction was paralleled in Saint-Simon’s contrast between Plato’s and Descartes’ vague speculations on the one hand, Aristotle’s and Bacon’s positive philosophy on the other. The term used by Saint-Simon is “positive”, not “experimental”. However, Saint-Simon’s positive philosophy was based on the experimental method. And in the first volume of Comte’s Course of Positive Philosophy we find the same contrast between the metaphysical spirit, to be rejected, and the positive spirit of those that Daunou regarded as experimental philosophers. Let’s go back to our initial question on the fate of experimental philosophy in the nineteenth century. Daunou’s work, together with Saint-Simon’s and Comte’s statements, suggests that the notion of experimental philosophy was not simply abandoned in nineteenth century France. Instead, it morphed into the new notion of positive philosophy, or at least it contributed to the definition of this new important movement in the French philosophical scene. I am no expert in nineteenth century French philosophy though. I would love to hear if you find this suggestion plausible. Some time ago I wrote a post regarding David Fordyce’s Elements. This text was used almost in its entirety as the entry for moral philosophy in the Encyclopædia Britannica from the first edition in 1771 and until the seventh edition where it was modified and the replaced by an essay on the topic by William Alexander. I want to refer to the Encyclopædia again, this time to trace the description of four terms, namely ‘empiric,’ ‘experimental philosophy,’ ‘rational’ and ‘rationalism,’ and ‘speculative.’ I will focus on the first two terms in today’s post. It is clear from the definition that the word had a different use than the one implied by the modern term ‘empiricism,’ which appeared for the first time in the eleventh edition(1910) of the Encyclopædia. In such editions the writer of the entry tells us that the term refers “in philosophy, [to] the theory that all knowledge is derived from sense-given data. It is opposed to all forms of intuitionalism, and holds that the mind is originally an absolute blank.” The last paragraph of the entry refers to the restricted definition of the term ‘empiric’ given in previous editions that I quoted above. As far as the Encyclopædia Britannica is concerned, we can see that the terms used in the eighteenth and nineteenth centuries are better explained by using the ESD framework instead of the RED. The contrast between the meaning of the term ’empiric’ in the medical context and the later twentieth century entry on ’empiricism’ illustrates this nicely. As we will see in my next post, the way the terms ‘speculative’ and ‘rational’ were used gives us more evidence to prefer the ESD framework for interpreting the early modern period. In a recent article Peter Harrison has drawn our attention to the phenomenon of experimental Christianity in seventeenth-century England (‘Experimental religion and experimental science in early modern England’, Intellectual History Review, 21 (2011)). In this post I would like to take up where Harrison left off and discuss one proponent of experimental religion whom Harrison does not mention, namely Francis Bampfield (1614–1684). Bampfield provides an interesting case study because while he was a promoter of experimental Christianity, he was also a harsh critic of the new experimental natural philosophy. 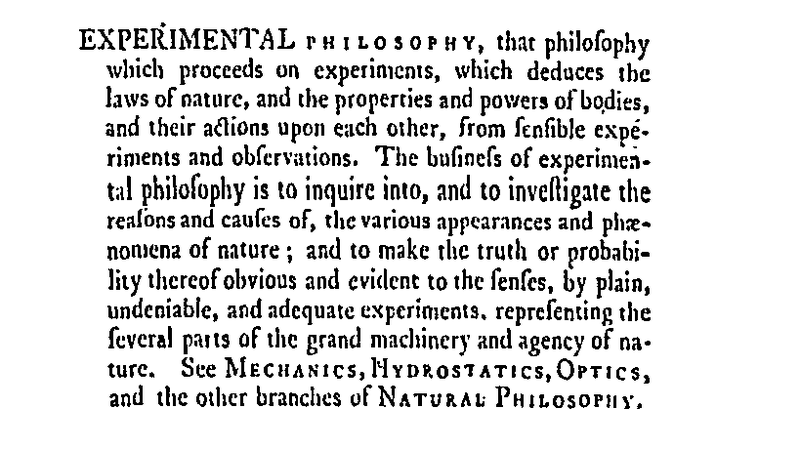 In two works from 1677, All in One and SABBATIKH, Bampfield lays out his case against experimental natural philosophy. In his view the source of all useful and certain knowledge is the Scriptures. It is ‘word knowledge’ and not knowledge of the world that Bampfield is defending. What Boyle himself made of all of this, if it even came to his attention, we will never know. He never mentions Bampfield in any of his works or correspondence. 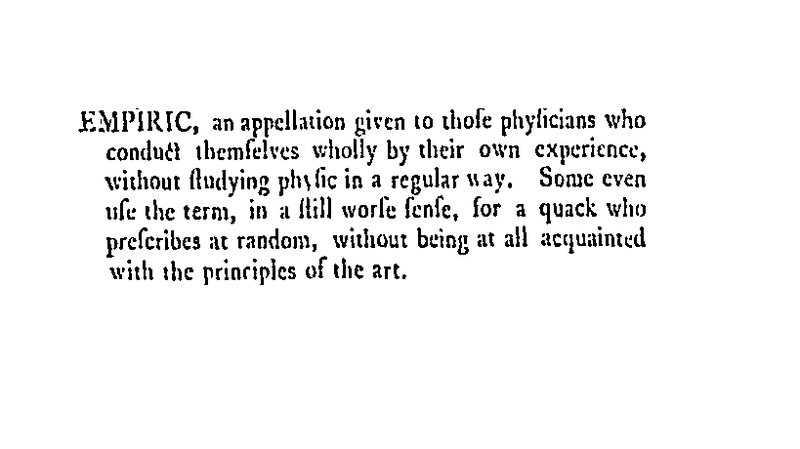 In the first edition of Principia (1687), book 3 contained nine hypotheses. But in the second edition (1713), Newton re-structured book 3 so that it contained only two hypotheses. All but one of the old hypotheses were simply re-labelled. Those that specified explanatory constraints were called ‘Rules of Reasoning’, those that were simply unsupported generalisations were called ‘Phenomena’, and only the assumptions about nature were called ‘Hypotheses’. Table: Book 3 changes from 1st to 2nd editions. These changes seem to indicate that Newton’s attitude to hypotheses changed dramatically between 1687 and 1713 – probably in response to Leibnizian criticisms and Cotes’ editorial comments. On this blog, I have given you many reasons to suppose that, as early as 1672, Newton was working with a clear epistemic distinction between theories and hypotheses. More recently, I have argued that in fact, Newton was working with a three-way epistemic distinction between theories, which are certain and experimentally confirmed, hypotheses, which are uncertain and speculative, and queries, which are not certain, but provide the proper means to establish the certainty of theories. I call this division Newton’s ‘epistemic triad’. I argued that hypotheses perform a distinctive and vital supporting role to theories and queries, and that this role is an enduring feature of Newton’s methodology. Today I’ll compare the roles of hypotheses and rules of reasoning in book 3, and argue that Newton’s attitude to hypotheses c.1713 was a refinement of his attitude c.1687, but not a dramatic change. This enabled him to calculate the motions of the planets – that is, to deduce the observational consequences of his theory. I consider this to be the chief role of hypotheses, and it is experimental. Now compare this with how Newton uses his rules of reasoning. These rules didn’t help Newton to deduce the observational consequences of his theory in the same way as his hypothesis 1. They provide an important supporting role for his theory, but it is not an experimental role. To the second edition, Newton also added the General Scholium, in which he (in)famously declared “hypotheses non fingo”. Recently I argued that, in this passage, Newton was not railing against hypotheses in general, but rather, against the use of ‘causal hypotheses’ to illustrate more abstract theories. Given that the first edition did not contain any causal hypotheses, I consider this addition to indicate Newton’s increasing conviction in his method, rather than any dramatic change. There are no causal hypotheses. Emphatically, there are no causal hypotheses. I see these changes as developments of Newton’s epistemic triad, rather than dramatic methodological changes.